Enamel Batman Tuxedo Studs | What Should I Say? You may be dressed like Bruce Wayne, but that's no excuse to hide you're love of Batman. 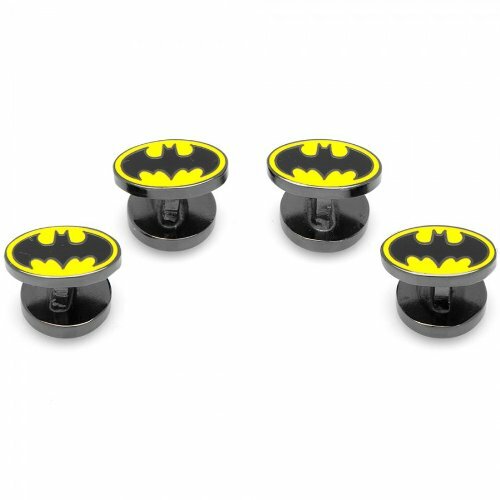 This gorgeous set includes 4 individual officially licensed Batman Tuxedo Studs. When you dress for the night, why not the Dark Knight? If you have any questions about this product by Cufflinks Inc, contact us by completing and submitting the form below. If you are looking for a specif part number, please include it with your message.